The House of Peoples` Representatives (HPR) of Ethiopia appointed Birtukan Mideksa as the new Chairperson of the National Electoral Board (NEBE) today. Nominated by Prime Minister Abiy Ahmed, Birtukan replaced Ambassador Samia Zekaria, who was the chairperson of NEBE since last year. Premier Abiy has pledged to deliver a credible election in 2020. Birtukan recently returned to Ethiopia after seven years in exile in the United States and was compelled to return by the ongoing reforms. She has always been a vocal advocate for the rule of law and respect for the constitution. The National Electoral Board is accountable to the House of Peoples Representatives and is an independent and autonomous organ for conducting elections having its own legal personality. The Broad has nine members who are nominated by the Prime Minister and appointed by the House of Peoples Representatives. The composition of the Board Members has taken into consideration the national diversity, gender representation and includes legal professionals. 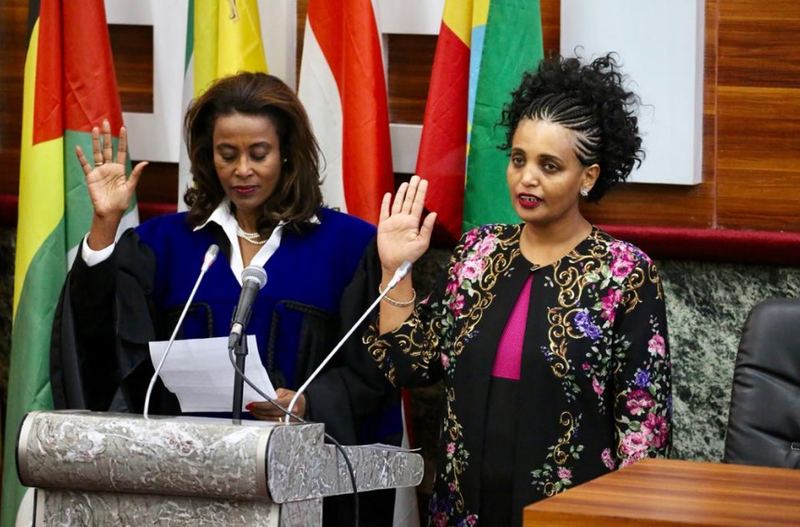 Prime Minister, Abiy Ahmed who has implemented several reforms across the political, economic, social and diplomatic front, has also recently appointed several women to key government positions including the president. Birtukan Midekssa was elected as the first female NEBE chairperson on the 7th regular session of this year’s HPR meeting with four members against and three abstentions.